Last Updated: April 7, 2016 | Subscribe to our weekly newsletter! You get home from a long hard day at work ready to enjoy a nice warm soak in your hot tub and then you see it. Yuck! Floating on the surface of the water is oily scum just hanging out enjoying your hot tub. Nothing ruins a good soak in a hot tub faster than oily scum on hot tub water. Whether it’s floating in the water or slowly forming a gross ring around your tub, this scum needs to go. Typically, scum in your water is a sign that your sanitation measure just can’t keep up. If oily scum is a problem in your water, the time to act is now. Roll up your sleeves and let’s get to work. There are many different causes of scum in your hot tub. Yet some are more often the culprits than others. Body Chemicals – This is the most common cause of scum in hot tubs. It’s caused by deodorants, hair products, perfumes, and lotions. These can wash off the body and overwhelm the filtration system leading to an oily scum buildup. Poor Water Chemistry – Water with improper pH levels and bad calcium levels can cause buildup and lead to scum floating on the water or collecting on the sides of the hot tub. Metals – While metal is present in water everywhere, too much can cause an oily buildup in your hot tub. Filter Problems – If your filter is damaged or worn out, it will fail to do its job allowing dirt and all sorts of gross things through that could lead to scum setting up a home in your hot tub. So how do you know what is causing your problems? The color of the scum is often a great indicator. If your water chemistry is off, you could end up with brown scum in your water. This occurs when your pH levels are too high causing minerals like iron to react with your water. 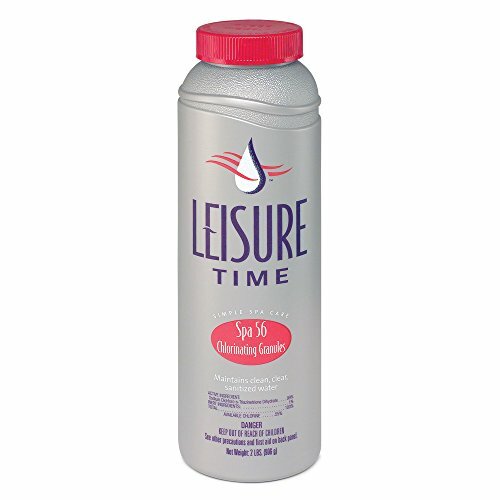 This leaves behind a nasty brown scum on the surface and sides of your hot tub. 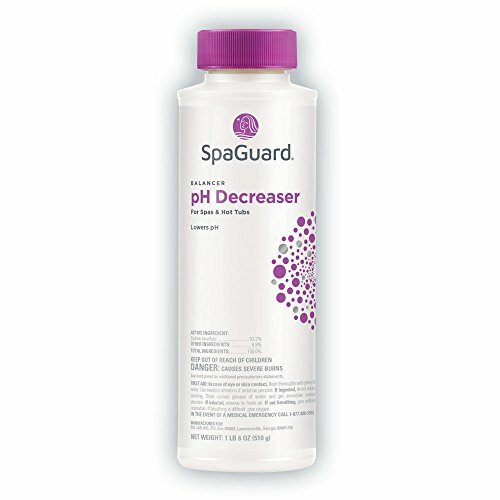 Use a pH decreaser If you click this link and make a purchase, we earn a commission at no additional cost to you. to bring levels down. Green scum in your hot tub is a sign of metal present in the water. Dissolved metals like copper and magnesium can interact with your sanitizer leaving behind green scum. Filter the water you put in your hot tub if this is a common problem for you. 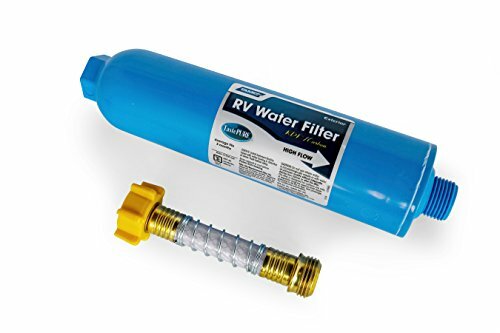 I recommend using a hose filter If you click this link and make a purchase, we earn a commission at no additional cost to you. . This is usually caused by a bad filter in your hot tub. It’s usually a combination of metals, body oils, and products. If you notice this color, give your filter a thorough check and clean it with filter cleaner If you click this link and make a purchase, we earn a commission at no additional cost to you. . So you have scum in your water. Don’t worry. All is not lost. There are many things you can do to get rid of it once and for all. 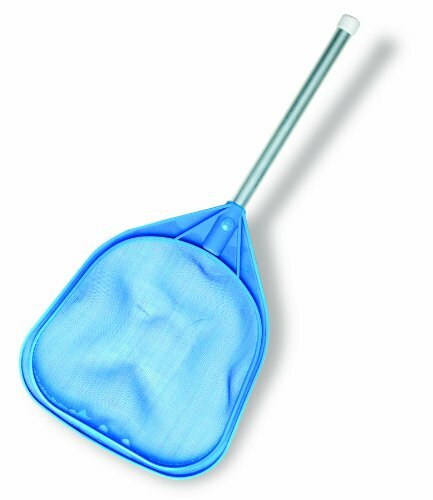 First, grab your skimmer If you click this link and make a purchase, we earn a commission at no additional cost to you. and skim off the excess from the surface if you can. This will make the cleaning process that much easier. Check your filters and consider cleaning them or even replacing them, if necessary. For more extreme cases, you may want to go ahead and change the water completely. 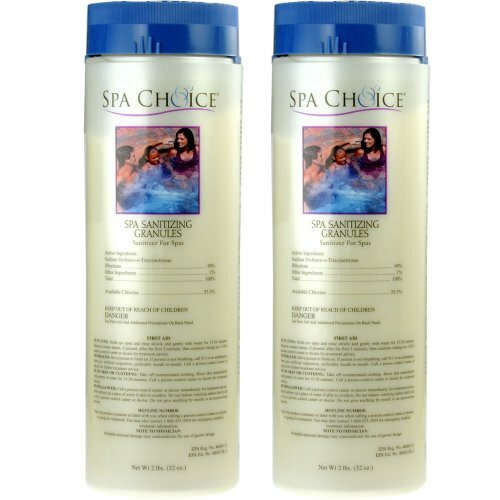 A spa clarifier If you click this link and make a purchase, we earn a commission at no additional cost to you. will interact with the organic waste left over from our bodies. It breaks down into substances that can be absorbed by the hot tub filtration system. 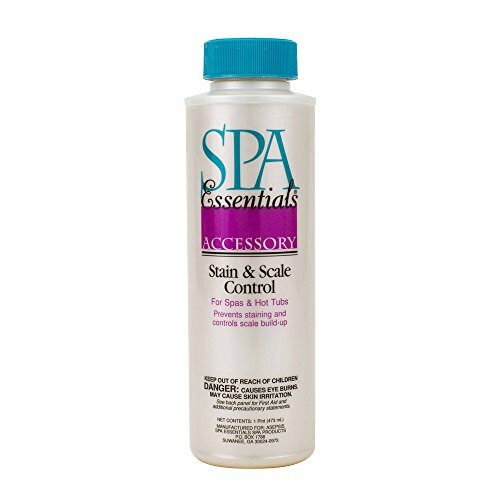 If your scum is the result of mineral buildup, a spa scale preventer If you click this link and make a purchase, we earn a commission at no additional cost to you. will soften the water. It will even prevent metals such as copper and iron from building up in the water. These products are ideal if most of your scum are from human bodies. 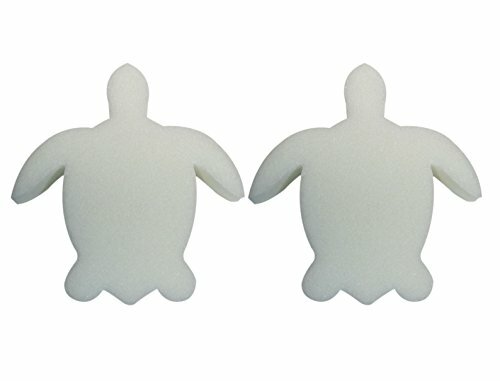 The floating sponges If you click this link and make a purchase, we earn a commission at no additional cost to you. collect the body oils and lotions that build up. This stops most of them from entering your filtration system and overwhelming it. Now that you have gotten rid of that nasty scum, it is time to put in a few measures to prevent it from happening again. Some instances of scum are caused by simple water balance problems. For example, your pH could be too high leading to a buildup in the water. Test your water If you click this link and make a purchase, we earn a commission at no additional cost to you. regularly and keep your water properly balanced with the right pH, sanitizer If you click this link and make a purchase, we earn a commission at no additional cost to you. , total alkalinity If you click this link and make a purchase, we earn a commission at no additional cost to you. , and calcium hardness If you click this link and make a purchase, we earn a commission at no additional cost to you. levels. This will go a long way towards preventing scum buildup in your tub. Cleaning your hot tub is often easier said than done, as it does need a bit of work. 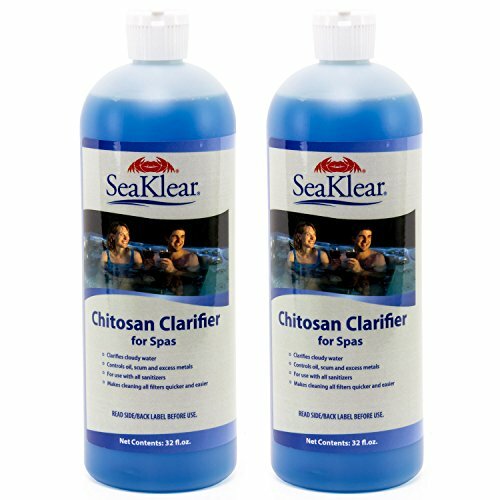 Still, you should use a hot tub cleaner If you click this link and make a purchase, we earn a commission at no additional cost to you. regularly if your hot tub gets a fair amount of use. Check your filters and clean them or even replace them if they begin to wear out. Besides your regular cleanings, every three months you should do a complete water change and deep cleaning of the shell and filtration systems. After your line flush If you click this link and make a purchase, we earn a commission at no additional cost to you. , re-balance all your chemical levels and then continue with your regular cleanings. 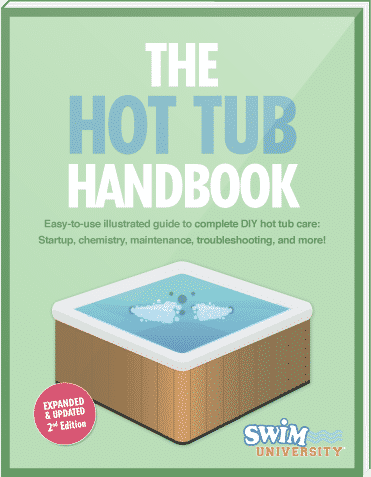 You should already be shocking your hot tub. Every week you should shock the water to give your hot tub a bit of a boost to fight oily scum. If you have a night of heavy use with a lot of bathers, then you may want to add an extra shock treatment If you click this link and make a purchase, we earn a commission at no additional cost to you. the next day to stay ahead of the game. Since most oily scum is caused by oil, soaps and other products we put on our bodies, removing them before a soak is the easiest way to prevent it from coming back. Try instituting a shower policy before you soak in your hot tub. Hop in the shower and rinse off all those products you use to make yourself clean before you jump into your tub. This will limit how much oil builds up in the filtration system and prevent it from becoming overwhelmed. Oily scum is gross and must be dealt with immediately. However, all is not lost. This is a common problem that many hot tub owners experience on a regular basis. Remember, most scum is caused by us, so take a shower before you soak and chances are your scum problem will go away. On top of that, take special care of your water and you shouldn’t have to worry about scum ever again.